Health of Mother Earth Foundation (HOMEF) organized an exchange visit meeting between fishers in Nigeria and Togo. This event held on December 28, 2018 in Makoko community, Lagos State, Nigeria. The meeting created space for exchange of information and ideas to ensure sustainable fishing and ensure that fishers’ rights are upheld and respected by policy makers. The exchange visit saw Adam Muhamadou Derman meet with leaders of fishing associations in Makoko. Adam Muhamadou Derman is the Secretary General of Fisherman Trade Union in Togo; as well as the chairman of FishNet Alliance, Togo. While narrating the fishing practices in Togo, he recalled the time a new fishing port was constructed in Lome, by the Chinese, without due consultations with the fishers. According to him, a time came when the fishers and trade union of fishers raised their voices because the construction activities were negatively impacting their fishing activities. As a result of this, a management committee was set up and fishers were incorporated into the management of the port, affording them the opportunities to be involved in decision making for the port operations and fishing in their region. He added that monitoring of fishing activities was done by the government in the past, but that there are professional fishing associations now. “We are part of the monitoring and control team with government public administration. With the fishers’ involvement, they have put in place good fishing practices. While reiterating the stance of FishNet Alliance, he said that there is a strong sensitization going on now to discourage fishers from using chemicals because some fishermen go to the sea with some chemicals and put them in the water to catch more fishes, as a bid to get more money- “we are currently dialoguing with them and informing them about the harm (both to the marine environment and to humans that consume the fishes and also to our livelihoods) of using chemicals to fish. Informing them that the chemical kills the fish, their eggs and other aquatic organisms. When this happens, they will not be able to reproduce and if this continues over some years, there will be no more fish in our water”. He informed that they have gone a step ahead to ensure that the local knowledge is preserved for the future. As a way of doing this, they organize workshops to train community fishers (both young and old) on sustainable local fishing techniques and resource management (also serving as a continuous reminder about their traditional methods of fishing that respects nature). He believes that by doing so, they are transferring the local knowledge to the future. The fishers from Makoko expressed their gratitude towards the fisher from Togo: for a knowledge exchange and solidarity visit, while stating that they face threats of displacement from their coastal environment due to dredging activities by the government and the absence of subsidy from the government in acquiring fishing gears (often expensive). The problems faced by coastal communities are similar in nature, yet the authorities involved are not taking the plight of the fishers in coastal areas into consideration despite the fact being clear that the sector employs more people than the oil and mining sectors. 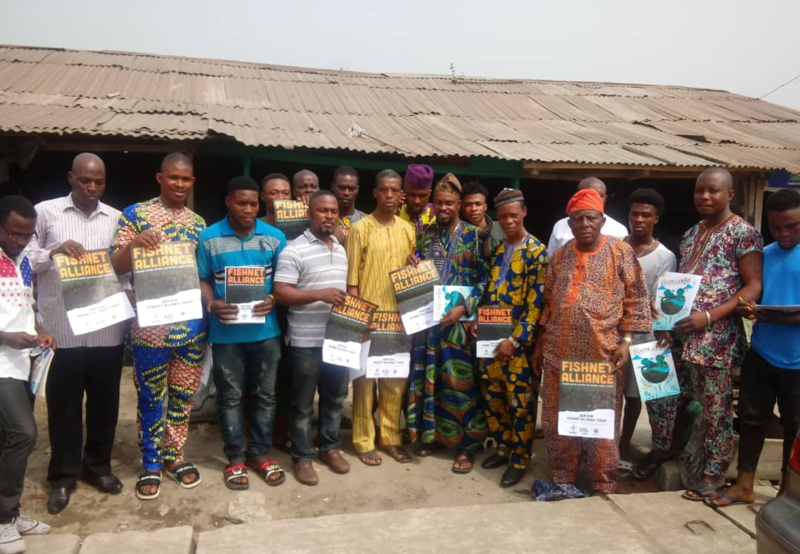 The FishNet Alliance provides fishers in coastal regions in Nigeria, Togo, Ghana and South Africa with a platform for collective efforts to put a stop to the activities of extractive industries along the coasts of Africa.. The fishers from Lome and Makoko agreed that since exploration for hydrocarbons is ongoing along the entire coastline of Africa, it is essential that the FishNet network expands to more countries and that fishers are trained to monitor the marine ecosystem in their territories.